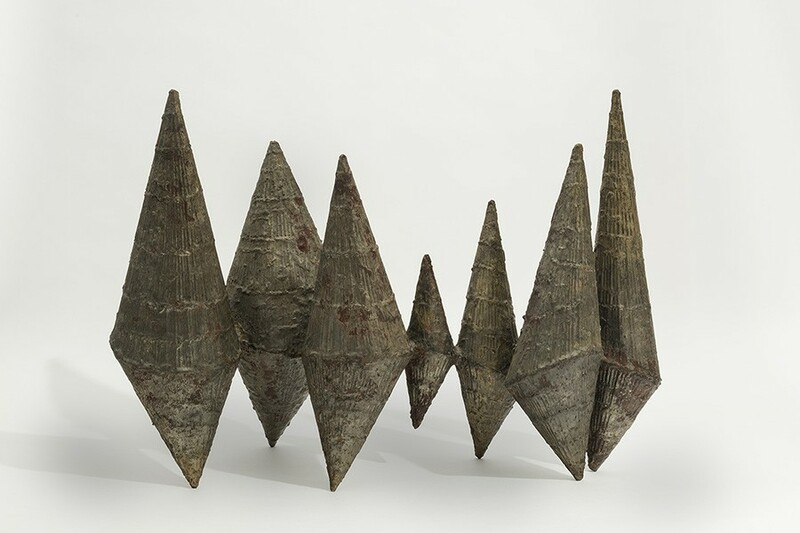 Bertoia made the present work, Cones, in 1960 as a preparatory design for an important commission in Dallas, Texas. 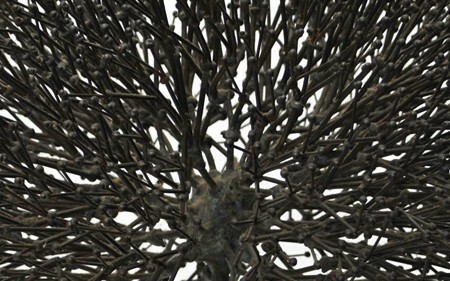 Real estate developer Trammell Crow selected Bertoia to design a sculptural series that was the centerpiece for Stemmons Towers International Sculpture Garden located within Crow’s newly developed property. 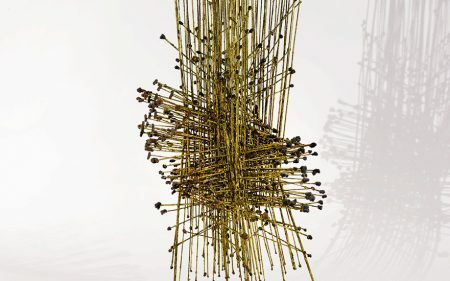 Installed in 1964, Bertoia designed four large bronze abstracts that represented a family. Cones demonstrates many of the design concepts and welding techniques that were used in the larger project. 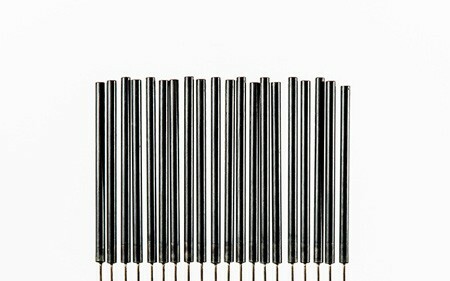 The present sculpture consists of seven cone-shaped abstract forms. Each cone is unique in size, patina, and texture due to the individual nature of the welded wires and melted brass. See "Maquette for The Comet"